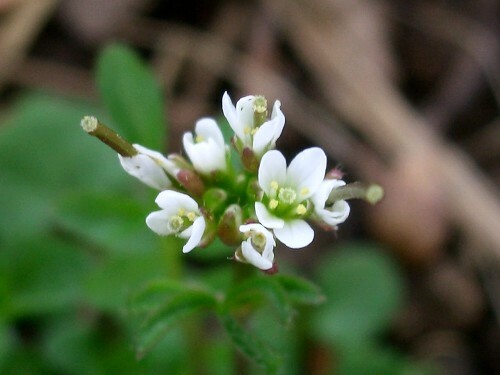 This is a common weed in British gardens and also on scrubland. The leaves form a rosette close to the ground. 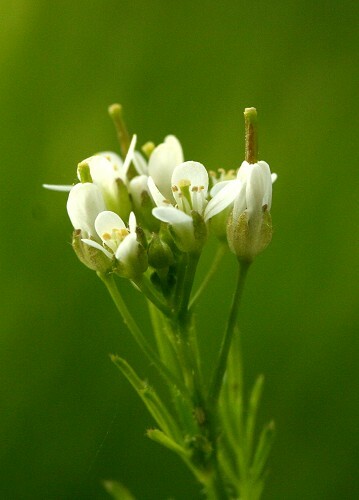 The flowers are tiny, about 4 mm diameter and long, narrow seed pods are formed later in the summer. Hairy Bittercress is edible and can be used in salads.